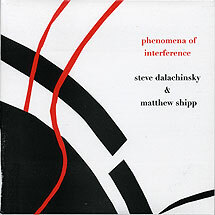 Steve Dalachinsky, words; Matthew Shipp, piano. Recorded at Tonic, NYC on 23 July 2005. Front cover art (reproduced above) by Yuko Otomo.